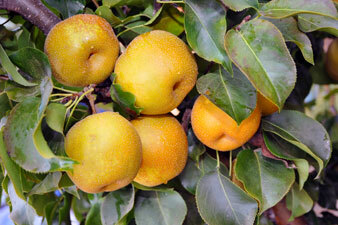 Nashi is also known as Asian Pear, Nashi Pear Apple, Sand Pear, Apple Pear, Water Pear, Japanese Pear and Salad Pear. They are crisp in texture and when mature, good to eat as soon as they are harvested or for several months after picking if held in cold storage. 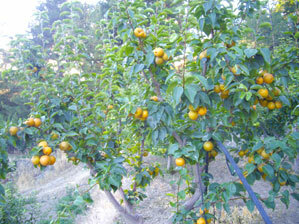 Nashi are available in Cyprus from August to December each year. They must be handled carefully as they have tender skin that bruises, discolours and blackens if not handled properly. They are best eaten when chilled, but are also very versatile and used in many recipes.